health crisis. Lavall Hall was outside, in Miami Gardens, when police arrived. He had a broomstick. Miami Gardens police officers Peter Ehrlich and Eddo Trimino fired their Tasers at Lavall Hall after he struck them with the metal end of a broomstick. The Tasers had no effect. Then they chased Hall for about half a block before he turned and charged at them. As Hall neared, Trimino fired his gun five times, striking Hall twice, once in the arm, and the kill shot to his chest. Hall was still alive and “struggling” when the officers handcuffed him and placed him faced down on the street. He died moments later. That version of Sunday morning’s violent encounter between Lavall Hall, 25, and the two Miami Gardens cops came from Miami Gardens Police Chief Stephen Johnson, as he addressed the media at police headquarters Tuesday night. They may well have done the best they could. But they didn't do enough. As Hall headed east on Northwest 191st Street, Tremino gave chase. “Mr. Hall at that time began to physically attack the officer,” Johnson said. After hitting Tremino in the head with the broomstick, Johnson said Tremino fired his Taser. It had no effect. Hall headed south on Northwest Second Court, about half a block from his home. Tremino continued to chase. As Hall turned and charged toward the officer, Johnson said Tremino fired his weapon five times. “He gave him several commands,” said Johnson. Ehrlich was treated at the scene. Tremino went to the hosptial and received stitches. Both officers are on paid administrative leave. Johnson said both officers are veterans who have received crisis intervention training. CIT is useful, but it's not a panacea. 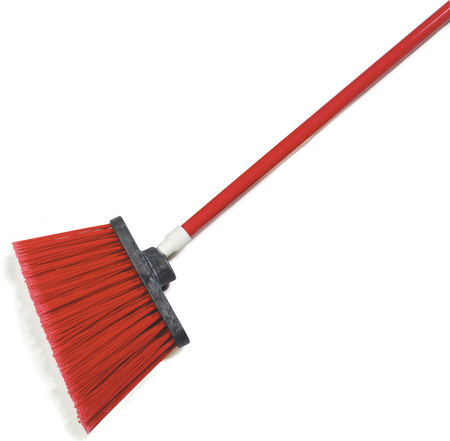 Maintain distance, call backup, be ready to gang tackle even if it means being hit with a broom handle. These officers will be found innocent of any wrong doing (let alone criminal charges), but once it became a comply-or-die situation, that's a death sentence for people with psychiatric disabilities who cannot comply. And so Lavall Hall is dead. Last week it was a man throwing rocks in Pasco. The week before, Coignard. Who will die next week because police insist that people in mental health crisis be normal or be killed?